Schematics and pcb layouts for various machines, contact me for info and price. As modern medicine becomes less effective due to over use of antibiotics and as diseases become immune to these medicines, these alternative methods are becoming more popular. Relax in your own personal space with a new and improved version of Andy Flinds mood changer. 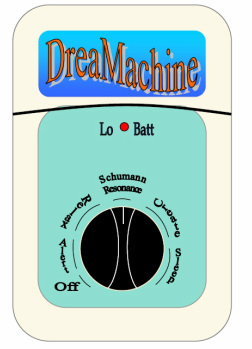 A pocket size machine that emits Alfa, Beta, Delta and Theta brainwaves including the Schumann resonating waves for stimulating sleep, relaxation and other learning moods. Beta Brain Waves (13-30 cycles per second). The fastest, representing the most intense state of alertness. The result of heightened mental activity. Maximum mind power. All five external senses, logical mind, memory from the five senses & logical thinking. Alpha Brain Waves (8 to 12 cycles per second) This brain wave indicates a relaxed state of mind.. State of relaxed alertness, good for inspiration and learning facts fast. A meditative mind. In this state tap into internal “antenna” like qualities. Visions, powerful ideas, mindless creation of the incredible. Internal feeling & sensations. Theta Brain Waves (4 to 8 cycles per second) Deep meditation. Deep inward thought. This is associated with life-like imagination. High state of mental concentration. A magical mind. Internal pictures / visualisation. Intuition, inner guidance. Access to unconscious material. Dreaming. Delta Brain Waves (0.5 to 4 cycles per second) Deep dreamless sleep. Deep relaxation. State of oneness, whole body feeling. Pure being & will. Schumann Resonance (SR) is the global electromagnetic resonance that occurs as a set of peaks in the extremely low frequency (ELF) portion of the Earth’s electromagnetic field spectrum between 3 and 69 Hz, with distinct peaks at 7.83, 14.3, 20.8, 27.3 and 33.8 Hz. Lightning discharges excite SR in the cavity formed by the Earth’s conducting surface and the ionosphere. Modern technology appears to be threatening humanity’s connection with earth’s fundamental frequency and the natural vibrations of Schumann Resonance. MCS Accupuncture - without needles. The AccuMac differs from conventional MET units in that it is computer controlled and utilises magnetic probes for accupuncture like treatment. The primary benefit is that no potentially un-hygenic needles are used. One can use the probes as in conventional pain treatment or as in accupuncture to stimulate the accupuncture points. 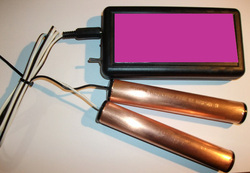 Each probe has a powerful magnet within, giving the added benefit of magnetic therapy. The built-in program has a two step regime, the first being a seven minute treatment at a higher frequency that helps kickstart the healing process, especially in some stubborn cases. Then follows a twenty three minute cycle at a lower rate. As mentioned earlier, the probes are not held stationary for more than ten seconds but rather used to gently massage the affected area as a physio might with their fingers. 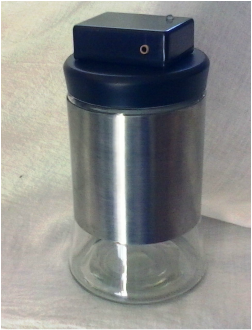 This device does more things than treat anxiety and depression, or addiction. It increases learning abilities, it fixes memory problems. It enhances neuro transmissions, it has brain cell rejuvenation capabilities. It could possibly open up unused brain areas, and that is 90% that we do not use, just imaging if we could open up another 5 to 10%. 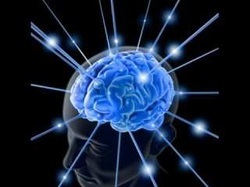 What if we could open our brains up from using only 10% of the brain to 20, 50, to 75%. Would this make a super human, can we take a normal individual, and create a genius? This sounds far out, but all things are possible. The presence of colloidal silver near a virus, fungus, bacterium or any other single celled pathogen disables its oxygen metabolism enzyme, its chemical lung, so to say. Within a few minutes, the pathogen suffocates and dies, and is cleared out of the body by the immune, lymphatic and elimination systems. Unlike pharmaceutical antibiotics, which destroy beneficial enzymes, colloidal silver leaves these tissue-cell enzymes intact, as they are radically different from the enzymes of primitive single-celled life. Thus colloidal silver is absolutely safe for humans, reptiles, plants and all multi-celled living matter. Completely automatic computer controlled operation. Visual as well as audio indication of cycle start and finish. Good for sunburn and open flame burns. The best cure for athletes foot and nail fungus. Benefits of using a Zapper: any pathogens in the blood, germs, bacteria, fungus and viruses slow down the immune system making you more susceptible to illness and disease. The Zapper kills pathogens dead. In 1991 Studies at the Albert Einstein School of Medicine in New York have shown micro currents (50-100 microamps) put through flowing blood is proven to eliminate all infections and help restore damaged immune systems.